Was the Buddha "FULLY" enlightened? Re: Was the Buddha "FULLY" enlightened? I should be stupid ... I see not a glimpse of light in that thread, not the slightest beginning of interest, it's just mind tripping and ego playing gossip. If one is looking for a counter exemple of right speaking, there is the place ... wether Bönpo or Buddhist ! The Buddha's enlightenment can be called full, or complete enlightenment because it means that all the obscurations and causes of obscrurations which conceal the true, luminous quality of mind are fully and completely eliminated. For example, clinging to anger is eliminated and also anything which might cause one to cling to anger, or for any 'real' anger to arise in the future has been fully eliminated. Does this mean that desire, revulsion and ignorance themselves are eliminated? A buddha fully realizes that these kleshas have no inherent existence, so you could say they are liberated, or that any sense of their 'reality' has been transcended. So, a Buddha still knows happiness, frustration, and even anger, but for him these are like the properties in the board game MONOPOLY. They have no actual meaning outside the game which is being played by ordinary people. Ordinary beings are like the pieces trapped on the board, and perceive that the game is real, and go around and around and around. That is samsara. In this regard, it doesn't matter if one is married or not. Rules of celibacy and other prohibitions only serve to keep ordinary beings focused on liberation, and not committing more negative actions. caveman wrote: I hope we can have a polite yet critical discussion on this topic. I was once talking to a Bonpo Rinpoche about enlightenment and the Buddha. Rinpoche stated that the Buddha was enlightened but not fully enlightened. He stated that to be a fully enlightened Buddha you had to be a "Married Buddha" with children. In Bill Murray's movie "The Razor's Edge" he tell the abbot of the Tibetan Monastery, "It's easy being a holy man on top of a mountain'. The Abbot replies, "You are closer to the truth then you realize". Rinpoche stated that there are many great married Buddhist Masters in Tibetan Buddhism ie HH Sakya Trinzin, Dudjom Rinpoche, Marpa , Machiq Labdron etc. Rinpoche finished his talk with me by tell me that "As long as I wear this robes I can never fully test my mind and see if I can be moved from my meditation seat"
So there it is, can you be fully enlightened without facing all the challenges that married life in Samsara and Nirvana can throw at you? Your Bonpo lama should find better things to do instead of speaking sectarian nonsense. I hope this is polite and critical enough. And you should stop pushing your Bonpo agenda around the forum. Siddhartha was not enlightened when he left the palace. The Buddha was enlightened six years later. After enlightenment he returned and his wife and son became monastics and Arahants (enlightened too). 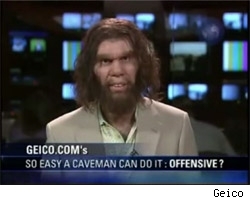 So easy, even a caveman should be able to figure this out. caveman wrote: can you be fully enlightened without facing all the challenges that married life in Samsara and Nirvana can throw at you? There is no single thing that all marriages share in common. Therefore, there cannot be any component of marriage which can be identified as a prerequisite to enlightenment. David N. Snyder wrote: Siddhartha was not enlightened when he left the palace. According to the shravakayana only. Temporarily locked, will be unlocked shortly. Any further disruptive, disrespectful posts will be removed without further notice. Enlightened or not, how did he not see that his dad had become an old man? That's why I'm a Theravada/Shravakayanist. "Old" is relative. When I was a teen, I thought 40 was near death. When I became 40, I thought I was still young. In ancient India, couples married and had children at young ages. His dad may have only been in his early 40s and not showing too many signs of aging, for example, no wrinkles yet, no gray hair yet. According the previous 254 lives of the Buddha Shakyamuni as a Bodhisattva, written in the Jatakas, is it difficult to say that he was already before enlightened. The Indian Buddha Shakyamuni declared on the question of Ananda, how many bodies has the Buddha? Do we know a "human "who did attain Buddhahood before the disconnection of the mind and the elements? Or is it possible for humans to get enlightened during their lifetime on earth before dying? Can somebody make reference to such a case? That would be very good to understand the attainment of Buddhahood on earth. Last edited by kalden yungdrung on Wed Jun 22, 2011 10:50 pm, edited 1 time in total. There is a difference of opinion on that, and most probably always will be. Buddha as emenation or buddha as real person. Being no scholor I would not venture a definitive guess, but my presumptive guess is in Tibetan buddhism emenation is the prevailing view. Full enlightenment occuring in a previous time and not in human form. A scholor could qualify my statement as true of not. In any event as this thread initiated the buddha...was fully enlightened. In either event. By one he was not until he sat under the tree. By other he was already as but a emenation, so he was, very basically. In both events after he concluded his meditation he was fully enlightened. Called a buddha is fully enlightened. As I said, according to the shravakayana only. The Mahayāna account is that Buddha achieved full awakening countless eons ago. caveman wrote: Rinpoche stated that the Buddha was enlightened but not fully enlightened. Well Shakyamuni was at least on the 11th bhumi. That's good enough. But now Rinpoche is talking about testing himself basically. Sure but on the way to enlightenment, at anything less than the higher bhumi's, samsaric life is better fuel. The reason people become monks and nuns in the Tibetan traditions is to accumulate merit for the next life. ronnewmexico wrote: There is a difference of opinion on that, and most probably always will be. According the different levels of understandings, are teached by the Buddhas the 84.000 remedies because illusion seems to contain the number 84.000 and not 83.999. So the attainment is possible according Sutra, Tantra and Dzogchen as the 3 doors to enlightenment over the 3 bodies. Well i do guess that each door has so its own attainment, but the fruit is the same because there is no difference between Buddha and Buddha. Sure the methods differ but the methods are never the result. I pesonally don't care a whit. Buddhism being a tool for me of most effectiveness. The tool of preference for me is found in Mayahana but much liking I have for theravada. Theravadans to my opinion(no offense to others) seem nicer. So personally as a person conventionally I prefer theravada. But I don't care much at all what my person likes or dislikes at all...so what matter. Persons are invariably in error. Will we prove who is right is that the intention of this thread....I suspect not. That would go on for years and years with no resolution. Striving for this thing is my complusion no choice do I have in it. Show me other and then I would see how exactly it matters. To me it matters not...I must strive for that thing. It is what I eat breath live and feel. So what exactly matter I do this thing here or there. YOu tell me perhaps? What is your concern in this thing? ronnewmexico wrote: I pesonally don't care a whit. Well that's nice, very nice. You are a compassionate person and I respect your presence and favor the winds which presented us thusly, in this time and place of similiarity. It is to my great benefit to know you, and others here.